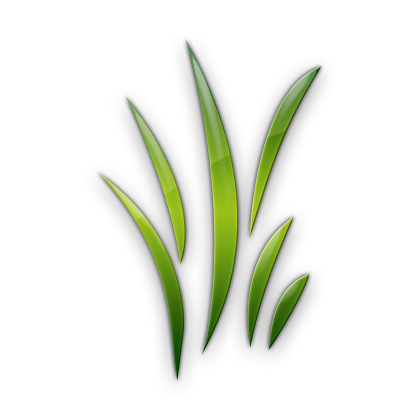 Calgary & Area Landscaping Reivews | . Thank you so much Rocky View Yards for your fantastic work! We are so impressed with our new brick patio and the efficiency and professionalism put forth from Rocky View Yards staff. Totally recommend. We just had our first experience developing a yard, Rocky View Yards were wonderful to work with, from receiving the quote all the way to the final walk through. The deck they built us was everything we asked for and more. The quality of work was great, the staff were considerate and accommodating. I 100% would recommend this company. We had 2 pathways built, sod and decorative rock installed. The work done was excellent. The guys were courteous and the quality of work is fantastic. I would recommend Rocky View Yards to anyone looking for landscaping needs. We have had Rocky View Yards for almost a full “grass cutting season”, and are most happy and very appreciative of their service and commitment. From the review of the initial contract, explanation of services, and the weekly cutting/trimming, and maintenance of our yard, the Team has exceeded our expectations. Knowing our yard is looked after when we are away is a priority, and again the Team has exceeded expectations. We had a neighbor who did not touch the ‘shared grass space’ next to us for over 6 months and when we asked Jared as his team to tackle the mess. He immediately said they would look after it ! Many times we only look to the ‘big advertised players’ for yard services….however our experience says “stay local”. Rocky View yards has provided us exceptional caring service. Thank you ! 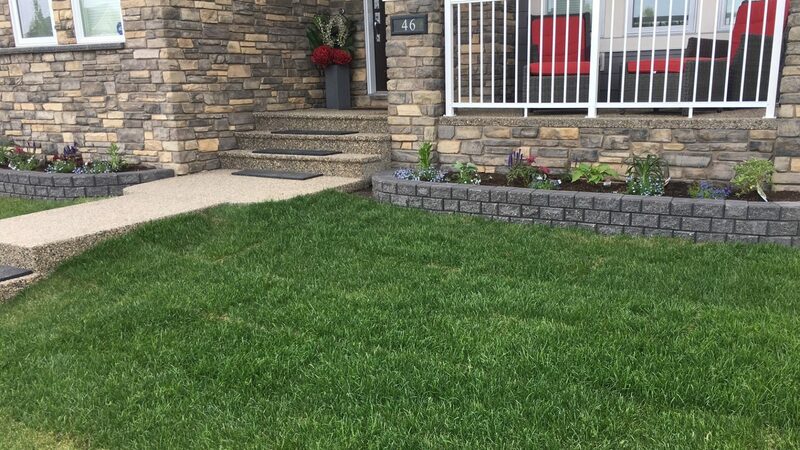 Right from the start, Rocky View Yards demonstrated to us that they are respectful, caring and they listened carefully to our wants and the way we imagined our front and back yard to be. They brought our ideas to life through hard work and long hours. They are real people; down to earth and they take pride in their work. Rocky View Yards is a family run business and their sense of togetherness is felt by their client every step of the way. They checked in with us regularly and communicated clearly throughout the entire process. They cleaned up their working space every day and they were extremely respectful and gracious to our neighbours as well. We were impressed by the way they used gravel and compacted numerous times over and over as they leveled and graded the stone patio and sidewalks. They ensured the slope was just right! The finished product is amazing! Our plants and flowers are flourishing in their new space. Our dreams of a maintenance free yard are now a reality! We are so proud of our yard, we have so much useable living space and we owe it all to the design and innovation of these boys! Whenever we encountered a problem, Jared and Jerry worked with us to come up with a creative solution that was practical and up to our standards. My favourite part is… all of it! From the rock patio, to tree planting, to flower beds, to patio stairs, building a gate, sidewalk and rock garden—- even a removable boardwalk— this company created it all and to our satisfaction! They came highly recommended from our neighbour and we highly recommend them to you! Working with Rocky View Yards has been a great experience! Sam and his brother were punctual, curteous and professional. They painstakingly took the time to clean out our flower beds making sure to leave as much mulch behind as possible. Our lawn looks fabulous and ready for the summer season. I would not hesitate to refer them and look forward to hiring their services again. Good Luck Guys…You Will Do Fabulously. Rocky View Yards did an amazing job with our front bed. We wanted to get rid of the old mulch and lay down some rock to increase the curb appeal. Our estimate was provided to us in less than 24 hours and the workers were extremely professional – they arrived when they said they would, they did excellent work, and they cleaned up the site afterwards. We have already recommended Rocky View Yards to friends. The front looks amazing and they did it for a great price – if you are thinking about going with this company, I wouldn’t hesitate. We had Rocky View Yards out to assess our lawn and problem areas. The team was informative, professional and prompt. After this meeting we booked service for the lawn, as well as topsoil fill to level low spots and fill holes. We were impressed with the clear communication and information throughout the whole process. The team took their time to inform us how to care for our lawn at the end of service, as well as left extra soil to fill areas once they settle. We will use them again for our future landscaping needs. Mike and I wanted to thank you all for creating a beautiful round patio in our yard. We really appreciated your punctuality, courteousness and attention to detail. From the prep work to the end result, a lot of care was put into the project. We would highly recommend your company to anybody who is looking for a reliable team to work with. Very happy with the end result! Awesome experience – great quality of work! We can’t say enough about Jared and his crew. We had them come and build a large brick patio area for our backyard, and couldn’t be happier with the finished product. From start to end, an awesome experience, great customer service and great quality of work. From the beginning Jared was on time, very personal, and very trustworthy. Through the planning phase he responded promptly to all my numerous emails, providing photos and feedback to help us choose the kind of bricks for our patio. They showed up on time to begin the work, and put in two twelve hour days to get the job finished before the rain started on the third day. The worked hard, didn’t inconvenience us in any way, and our pad looks great. They are bonded, licensed, and insured, and were the lowest priced of six different quotes we received. Great guys, no loud stereo, nobody smoking and throwing butts in our planters, no bathroom breaks on the side of our house (we’ve had all of these occur in the past with previous landscapers). I would highly recommend Rocky View Yards to anyone I know, great guys, great work and a great price.